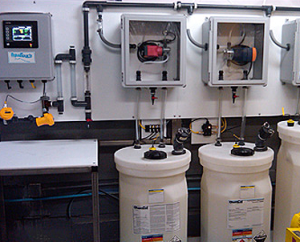 Technology plays a critical role in the overall success of a chemical treatment program, and Water Consultants of America has been first to market with a number of innovative feed and control technologies. Our dedication to providing leading-edge technology is well-known throughout the industry. Note that we thoroughly test new technologies prior to their release in order to avoid the risk normally associated with new or untested products. Water Consultants of America’s commitment is to continue exploring any and all new technologies to ensure the continued success of our customers’ water treatment programs.